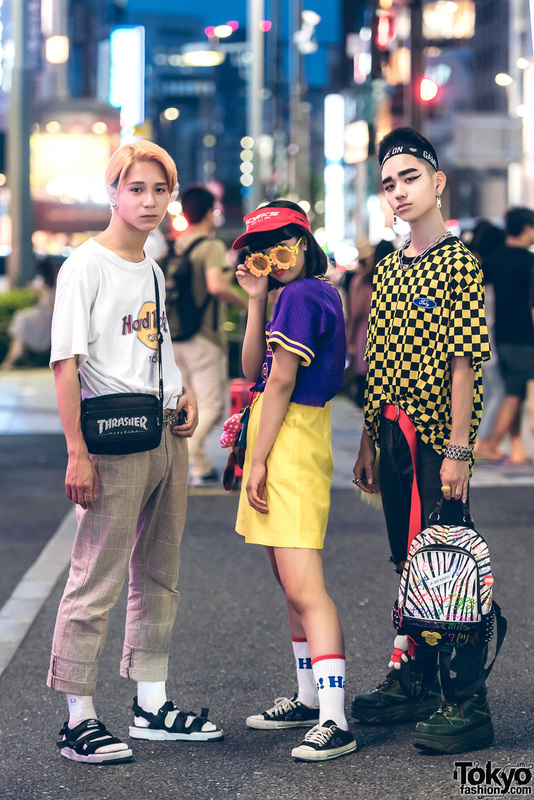 Harajuku trio in fun fashion with vintage t-shirt, plaid pants, sandals and sling bag; cropped shirt, high waist shorts, suspenders, black sneakers, and double sling bags; and checkered shirt, and ripped denim pants. Harajuku model/actress in colorful vintage street style with a red jacket over t-shirt, plaid pleated skirt, red socks, pointy creepers, round handbag, an orange beret, and Chanel earring. 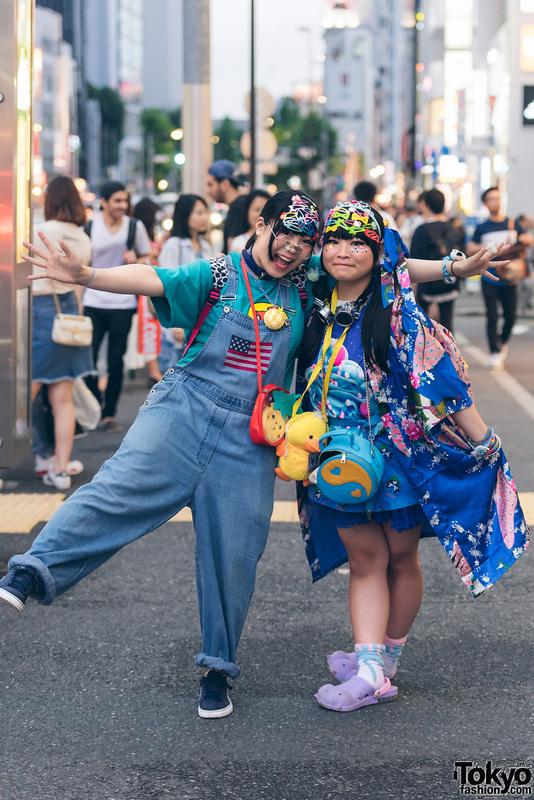 Harajuku student wearing a red Mickey and Minnie Mouse t-shirt, pleated printed skirt, high socks, baby doll shoes, flower glasses, large hoop earrings, and red bow ties. Harajuku girl in chic sporty black fashion with corset top, kimono jacket, pleated skirt and striped platforms.